Since everyone has declared a stringent diet after the festivities, I am including myself in this declaration of slowing down too. But excuse me if I won't be able to evade a splurge of calorific plates from my menu. It's hard to keep a straight line on what gets whipped up in the kitchen. 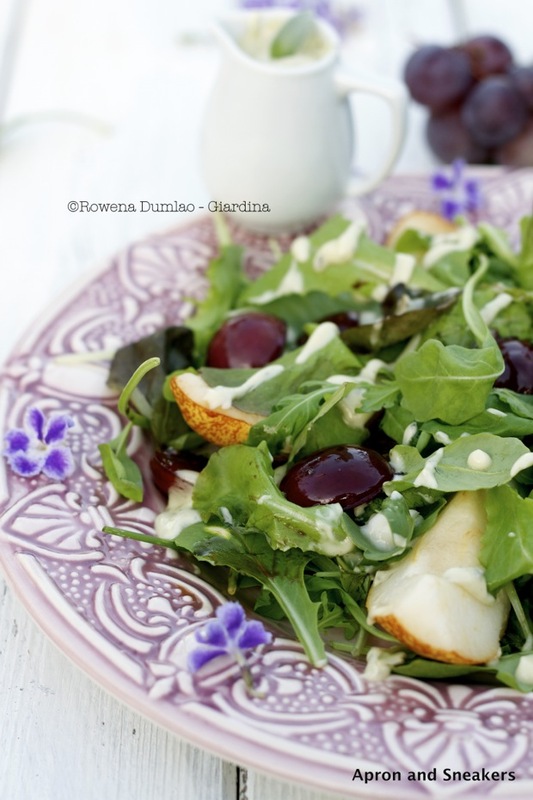 Since all of us have resorted to salads and soups at the start of this week, this salad will not fail to impress you but still keeps the healthy aspect of what you are eating. I have tried modifying the way I prepare it on different occasions, always depending on how much time I have and if I feel motivated to do more than just dumping fresh ingredients on the plate. The caramelized grapes with balsamic vinegar and port was the last modification I did. I usually just mix fresh grapes with the salad without getting a saucepan and cooking the grapes. I have to say that the caramelized version is way better than the plain fresh ones. I have also tried different ways to prepare the gorgonzola sauce. 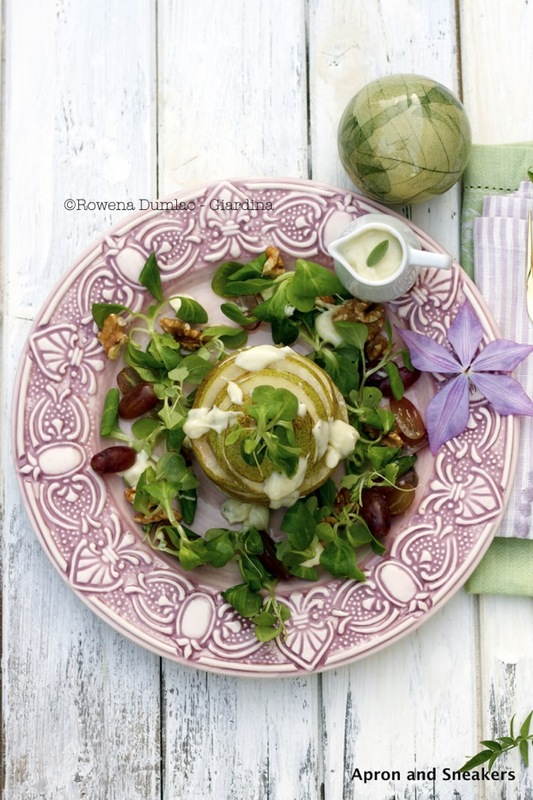 Initially, I prepared it half gorgonzola and half mascarpone with a few tablespoons of extra virgin olive oil. On my latest trial, I lessened the mascarpone by more than half and used grapeseed oil instead of extra virgin olive oil. I couldn't really taste a big difference but I felt that it was lighter. It was also a good reason for me to use grapeseed oil in my salad. 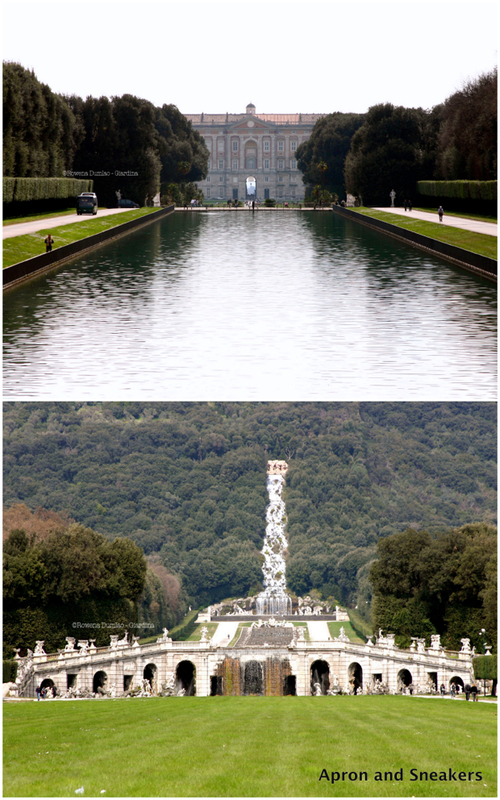 The first time I saw a picture of the Palazzo Reale di Caserta (Royal Palace of Caserta), I couldn't stop admiring its magnificence. I was humoring myself how nice it would be to live there and have garden parties, a place to enjoy or just have my own place to jog. I was never a jogger but given a place like that, I would definitely start putting on my rubber shoes! Maybe it needs big pots of flowering plants on both sides of the walk, a lawn tennis court or a children's playground somewhere to make it more homey. A lot of dogs running around would complete the picture. What do you think? It had been used as a filming location for some scenes of popular movies like Star Wars Episode I as Queen Amidala's Palace on Naboo, Star Wars Episode II as Queen Jamilla's Palace, Mission Impossible III as the Vatican and Angels & Demons as the Vatican. 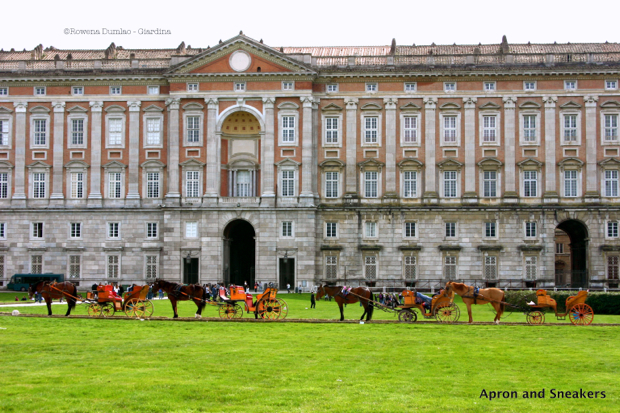 The Royal Palace was constructed between 1752 until 1780 by Luigi Vanvitelli for the Bourbon kings of Naples. It was inspired by the Palace of Versailles in France. 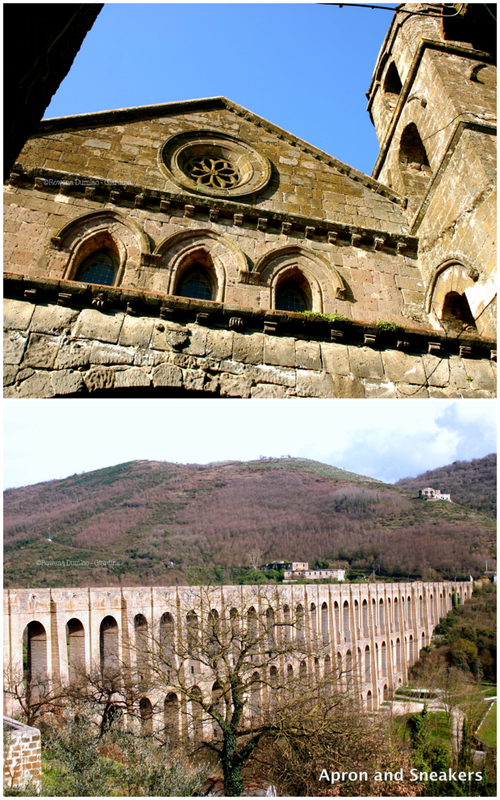 It has 1,200 rooms, 40 of which are monumental and richly decorated with frescoes and 120 hectares of garden. 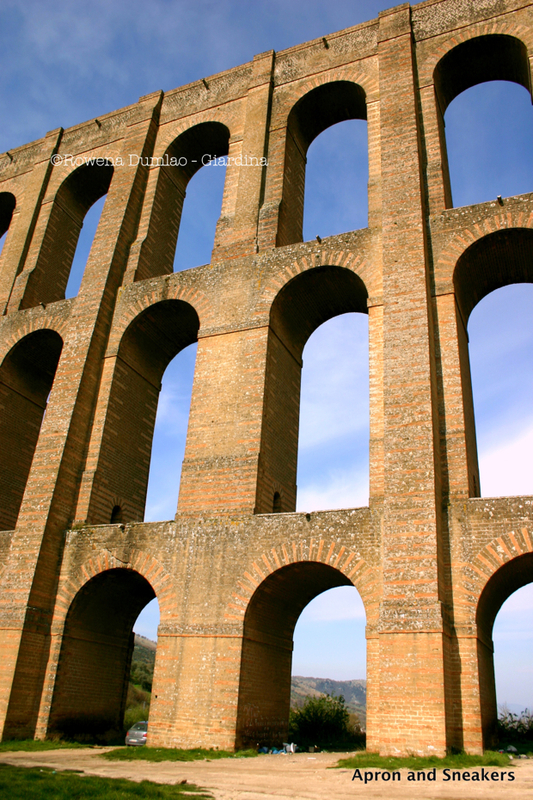 Like with Versailles, it needed water taken directly to the palace, thus the Aqueduct of Vanvitelli was built. It was intended to display the grandeur of the Bourbon monarchy. 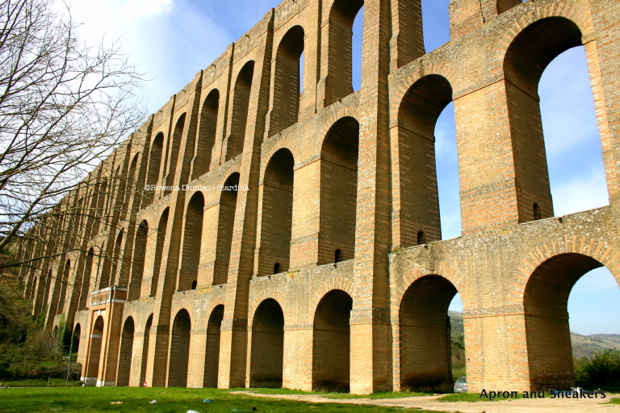 In 1997, the palace and aqueduct were designated a UNESCO World Heritage Sites. Mix the gorgonzola, mascarpone, grapeseed oil and 1 teaspoon lemon juice with a whisk. Season with salt & pepper. Mix well. Set aside. Slice & seed the pears. Brush each slice with lemon juice so that they won't turn brown. 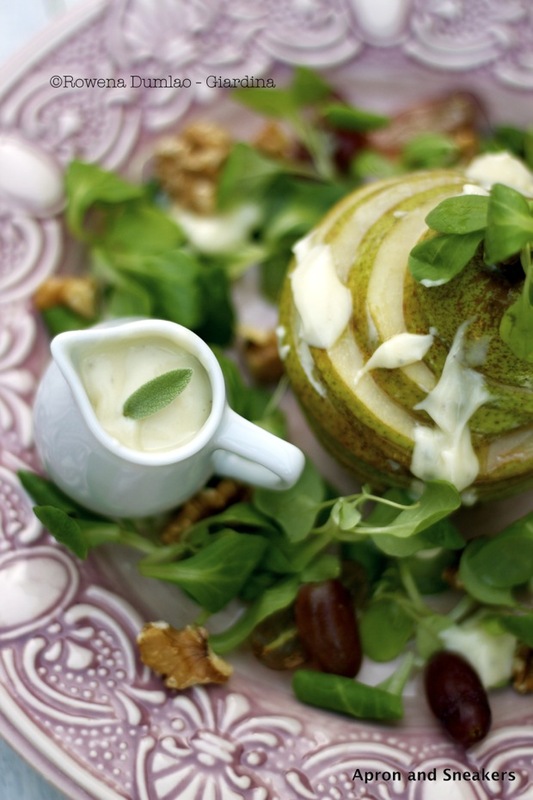 Put the sliced pears on a plate with some green salad and toasted walnuts. In a small saucepan, warm up the halved grapes. Add the port & balsamic vinegar. Toss for a couple of minutes. 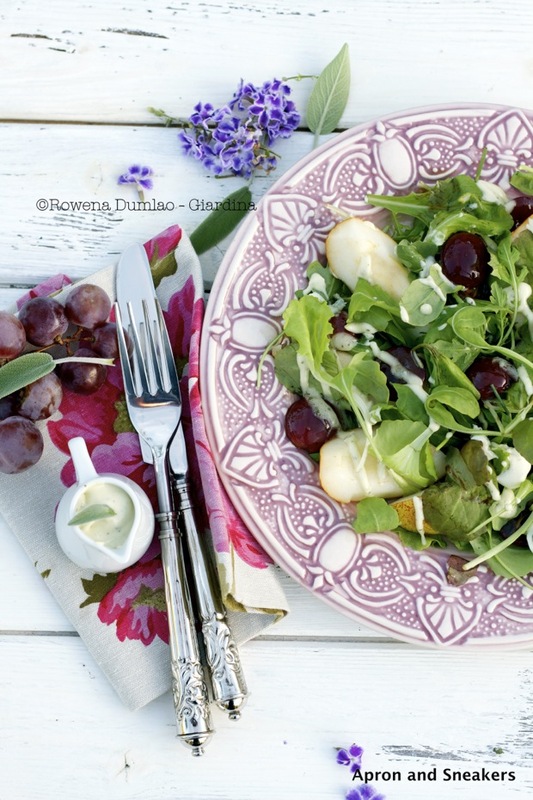 Add the warm grapes to the salad. Dress with the gorgonzola sauce.